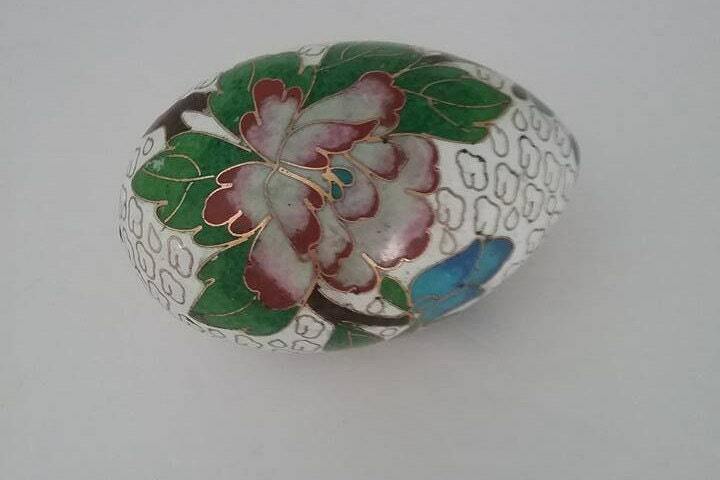 Vintage Japanese painted egg. 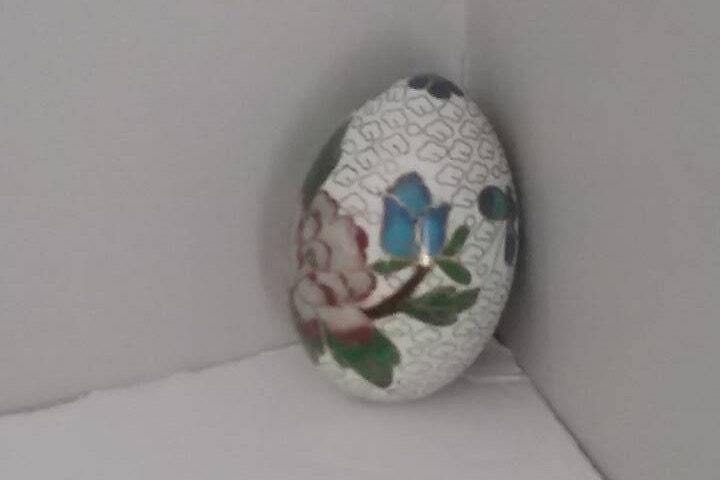 Japanese floral painted egg. 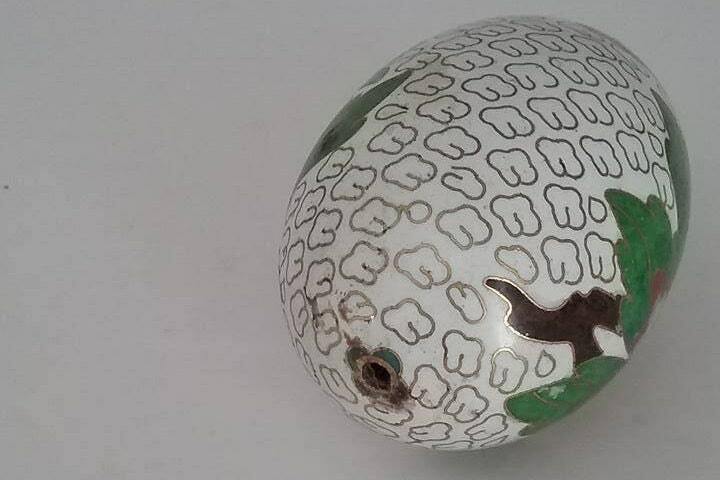 The egg was blown out using one hole on the bottom, and painted then coated in a UV protected high gloss varnish. Excellent vintage condition (no chips or cracks). Beautiful design and colors of an Iris. 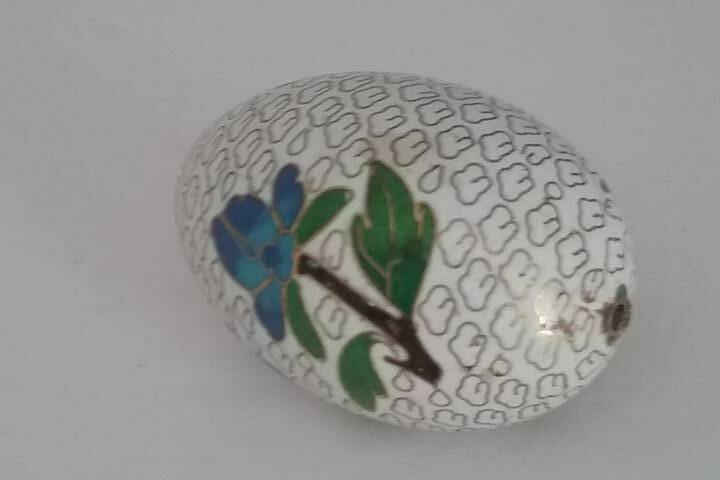 Golden gild pattern over whole egg.